During the 10 years, Instadebit became one of the most popular payment method for Canadian players. Instadebit is an electronic wallet which allows you to deposit and withdraw funds from online casinos without revealing your personal banking information. It’s rather similar to PayPal, but unlike Paypal, this is a Toronto based company, focused specifically on the Canadian market. The bottom line: if you are a Canadian casino player, we truly recommend checking it out. * Instadebit supports Canadian dollars and USD, but available only to Canadian customers. If you are from US, please check our USA Online Casinos section. There are many reason why it’s better to use Instadebit vs a regular credit card for example. All your banking information is safe. No one, not even the casino finance department, has access to your banking details. You fund your Instadebit directly from your bank account – meaning you don’t need to place your credit card details anywhere online. Most Instadebit casinos allow you to withdraw funds back to your account. Low fees. Unlike Skrill (Moneybookers), another popular Canadian banking method, Instadebit doesn’t charge any fees for online purchases /receiving funds to your account. The only fees that you will need to pay is while charging your Instadebit account ($1.95 CAD) or while withdrawing funds back to your bank account ($2.00 CAD). Instadebit is not limited only to online casinos and you can use it to perform various online purchases. How to make an Instadebit casino deposit? Enter the desired deposit amount and click ‘Deposit’. You will be forwarded to Instadebit website. Log in to your account and confirm your deposit. 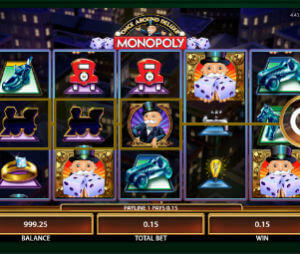 Wait a few seconds and you will be transferred back to the casino and the deposit will appear in your casino balance. *If you wish to use a bonus on your deposit, don’t forget to redeem it in the casino cashier. It takes only few minutes to open an account. Needless to say that it’s absolutely free. Click on Login/Singup button on top right. When you choose to fund your account, you have 2 options. You can just fill in your bank details and your payments will be executed straight from your bank account. Or you can do a onetime transfer to your Instadebit wallet and to use it for multiple online casinos and other online purchases. You need to deposit with Instadebit in order to be able to use it for withdrawals. This rules is common for all payment methods. It’s purpose is to protect you and the casino from possible fraud (for example someone using a stolen credit card and then withdrawing to Instadebit). The fact that you used it for deposit serves as a verification (combined with your casino verification) that the account actually belongs to you and no fraud is involved. That’s a general recommendation. Usually the casinos will request you to verify your account before sending the funds (for the same reasons listed above). The verification process is very simple and usually involves sending an image of your ID and some additional docs, like photo of your credit card (without the numbers) or proof of address. If you wish to speed up your withdrawal, don’t wait for the last minute and verify your account in advance. If you are a regular casino player you can keep those files in a special folder, that way when you sign up to a new casino, you can just send them over and not worry about it any longer. At first, your Instadebit account will be limited to 3,000 CAD per week. You can increase the limits by verifying your account. Check their official site for more details. Last, keep your account safe. Instadebit by itself is an extremely safe and secure method. However you need to make sure to have a strong password and keep it safe. After you received your withdrawal, you can either use it for other online transactions, not necessarily casinos, or you can transfer the funds back to your bank account. This will take you 2-3 days and cost you just $2.